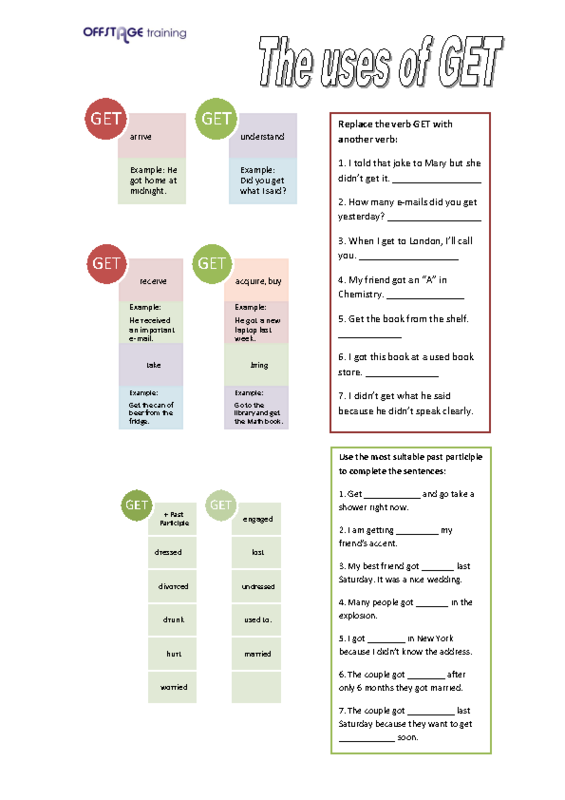 Some exercises on the uses of the verb get. The worksheet has some graphs with the uses of get and then some exercises using the information given on the left of the page. The exercises are on the right. 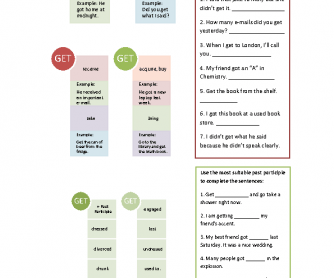 Get+adjectives, get+past participle, get with the meaning of receive, acquire, buy.